Whether you drive compact car or a six figure exotic, Nanotect coatings can make paint finishes virtually self-cleaning, wheels resistant to brake dust and interior surfaces stain resistant. On windshields, Nanotect improves driver safety and confidence during rainy periods. The extremely hydrophobic effect repels water, thus improving safety in poor weather. Driver visibility improves by 30% and reaction time improves by 25%. Glare from oncoming headlights and street lights is also reduced. Exterior Paint - your vehicle goes through a multi-step cleaning and polishing process the removes contaminants, scratches and other defects leaving it looking like new. After surfaces have been properly cleaned and polished the appropriate Nanotect coating is applied to each surface. When cured and properly maintained, Nanotect coatings provide years of finish protection from the environment. Paint is easy to clean and requires no waxing or polishing. Mega and Super Yachts have a considerable amount of surface area to maintain. Paint, high-polish stainless steel, polycarbonates and wood all need constant care and upkeep in the harsh marine environment. Modern paint finishes are engineered to be durable and have been formulated with UV protection. Waxes, polishes and sealers are nothing more than a sacrificial layer between the environment and the paint/gelcoat surface. They offer little in the way of UV protection and their hydrophobic effect has an even shorter life span which means you have to constantly reapply the product or spend more time cleaning. There are no aftercare products that can prevent a surface from becoming dull – Mother Nature always wins! In some cases the paint finish can prematurely oxidize, discolor or “blush” due to applicator error. These flaws can’t be repaired by any product much less the myriad of “miracle sealers” currently being peddled. Sure you can buff off the oxidation but now you’ve exposed unprotected pigment to the environment. The finish will oxidize even faster necessitating the process to be repeated again and again. Nanotect coatings provide a durable extremely hydrophobic layer that reduces cleaning time, labor and chemical consumption. By preventing finish damaging contaminants from adhering to surfaces, they can be cleaned quicker with less chemicals and less surface abrasion. By making surfaces self-cleaning, crews can utilize a more finish friendly maintenance program that’s void of harsh chemicals and scrub brushes. The less aggressive the cleaning regimen results in less damage to the finish. A brush, no matter how soft, can still scratch finishes. Stiff brushes will damage a finish immediately. These scratches not only degrade the appearance but also create a surface for dirt and contaminants to adhere to. GlassTech does not make outlandish promises with regards to the performance of Nanotect coatings. What we guarantee is a very durable UV stable nanotechnology coating that will make surfaces easier to clean. Whether it’s paint, plastic, fabric, wood or leather, surfaces reject staining and spotting while remaining easy to clean. Water and liquids are repelled and don’t have an opportunity to penetrate fibers and finishes. Motor coaches are rolling mansions that feature top-of-the-line components when it comes to interior and exterior luxuries. These surfaces all require special care, maintenance and attention. 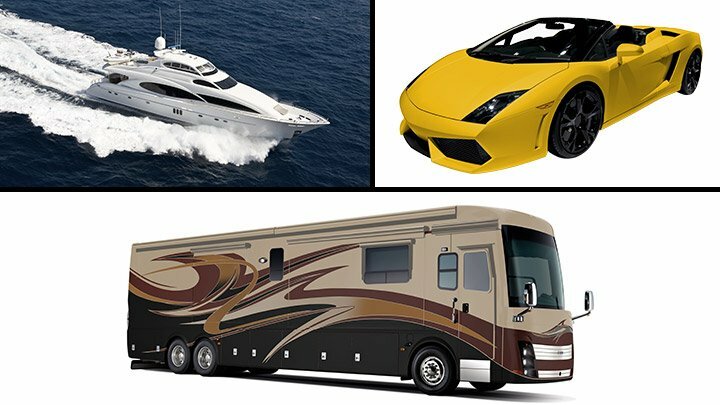 As with automobiles and yachts, Nanotect coatings provide the same level of protection to RV’s making them easier to maintain.